ANNAPOLIS — Three weeks ago, D. Marshall Love spoke to his son Jamie for the last time two days before the Navy pilot shipped out for the Persian Gulf. The potential danger of his mission was foreshadowed only when the 31-year-old career naval officer described the boyish Marines he had seen on board his vessel. Navy Lt. James H. Love of Arnold was identified yesterday as one of four men aboard a helicopter from the amphibious assault ship USS Tripoli that crashed Wednesday in the western Pacific Ocean about 700 miles northeast of Guam. The UH1-N “Huey” helicopter was on a nighttime search and rescue training exercise when it went down around 7 p.m., said Lt. David Wray, a Navy spokesman in the Pentagon. Lieutenant Love was one of two pilots on board. The body of one serviceman was recovered from the floating wreckage. The three others, including Lieutenant Love, are still missing and, after an extensive search of the area, they are presumed dead. The cause of the crash has not been determined, Lieutenant Wray said. The helicopter deaths represented the 57th, 58th, 59th and 60th U.S. fatalities in the military buildup in the Persian Gulf region, according to the Defense Department. Of that total, 15 have been Navy personnel. But for the family and friends of Jamie Love, the death was no mere statistic. To them, Lieutenant Love was a caring husband and father, an outstanding athlete and a strong-willed man who planned to become a Navy officer by the time he was in high school. The third-eldest in a close-knit family with two brothers and three sisters, Lieutenant Love was remembered yesterday as a man who attacked life with great zeal. Once, his father recalled, he scored seven goals in a single high school soccer game, a remarkable accomplishment in organized sports at any level. When he attended Archbishop Martin Spalding High School in Severn, Mr. Love played competitive lacrosse, basketball, baseball, swam in a summer league and ran cross country during a single year. Short and wiry, he once started a high-spirited wrestling match with a 6-foot 3-inch soccer teammate at least 50 pounds bigger — and won, a friend remembered. Larry Callahan, superintendent of schools for the Baltimore’s Roman Catholic Archdiocese, said Jamie Love was a gifted student still remembered for his athletic accomplishments and winning personality. “You’d never meet a nicer guy than Jamie,” said classmate Steven Bunoski, 32, now a lawyer in Baltimore. After graduation, Mr. Love attended Towson State University and received a degree in 1982. He enrolled in officer training in Pensacola, Fla., earning a commission and later his wings. He married a Towson classmate, the former Cindy Harris of Annapolis, in September 1983. Initially stationed in Portsmouth, Va., Lieutenant Love was assigned two years ago to San Diego, where he taught helicopter pilots, his father said. Five months ago, he was assigned to the Tripoli. Relatives and friends have planned a 2 p.m. memorial service today at St. Andrew by the Bay Roman Catholic Church on College Parkway in Cape St. Claire. Lieutenant Love leaves behind three children, Erin, 5, Matthew, 3, and Bethany, 1. His father, a 59-year-old former Boy Scout leader who lives in the Broadneck Peninsula near Annapolis, said the military buildup in the gulf was a “tough decision” but did not blame President Bush’s policies for his son’s death. 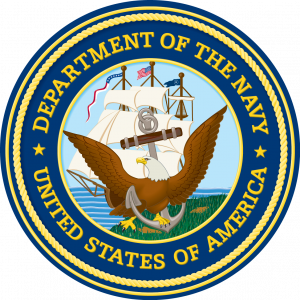 Lt. James H. Love USN was killed in an aircraft accident on 19 December 1990 while flying off the Amphibious Assault Ship TRIPOLI en route to the Persian Gulf. A Memorial Service was held on 22 December at St. Andrew by the Bay in Cape St. Claire, Maryland, and another service was held on 11 January at NAS North Island Chapel in San Diego. Born on 23 June 1959 in Baltimore, Maryland, he was appointed to the Naval Academy from Maryland with the Class of 1981. He left the Academy and completed his degree at Towson State University, Towson, Maryland. He re-entered the Navy under the Aviation Officer Candidate program and won his commission on 13 August 1982. After receiving his wings as a helicopter pilot, he was stationed with HC-8 at NAS Norfolk; he made two deployments to the Mediterranean and was awarded the Navy Achievement Medal. Lt. Love then reported to HC-3, NAS North Island, California, as an H-46 FRS instructor pilot. He held jobs as flight scheduler, NATOPS officer and finally as the H-46 NATOPS model manager. In TRIPOLI, his assignment was in Air Operations. Lt. Love is survived by his wife, Cynthia and three children, Erin, James Matthew, and Bethany Marie, all of the home, 12124 Via Antigua, El Cajon, Calif. 92019; and his parents, Mr. and Mrs. John Love, 2114 Harbor Dr , Annapolis, Md. 21401.